It's that time of year again when everyone is going crazy trying to find the perfect Christmas present for their friends and family but when Black Friday rolls around it's the perfect time to get what you need at a big discount. 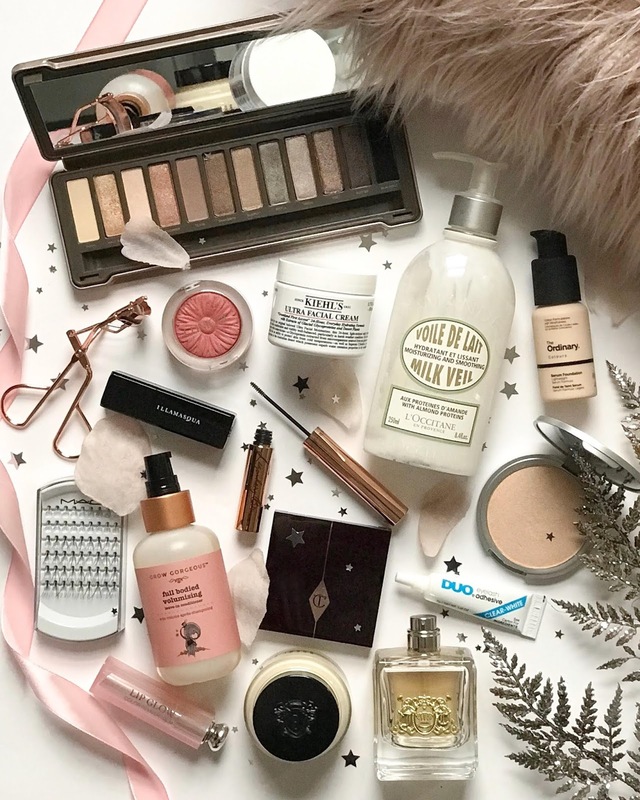 It's also a nice time to treat yourself to that new eyeshadow palette or limited edition candle you've had your eye on so whether you're looking for yourself or someone else here are my top beauty picks of the year! Happy shopping! Charlotte Tilbury | Starting with the queen of luxury, Charlotte currently has some amazing deals on her site with up to 40% off on some gorgeous products including a lip gloss trio, makeup duos and even a skincare kit that comes with a full-sized Magic Eye Rescue! You also receive a free Scent Of A Dream 30ml when you spend £75 so it's the perfect time to snag yourself a bottle! Kiehl's | I've really grown to love Kiehl's products this year and if you've been considering trying a couple bits from them or you're already a massive fan now is the time to place an order! If you purchase two or more products and use the code BLACKFRIDAY you get 20% off everything which is amazing! Their Ultra Facial Cream is a classic and is definitely worth checking out if you have dry skin! I'm really tempted to pick up the Glow Formula Skin Hydrator and Buttermask For Lips. Grow Gorgeous | My love affair for this brand is still going strong and the fact they currently have 50% off their entire range is very dangerous for my bank account. I love everything I've tried from them but their shampoos and treatments in particular always leave my hair in tip-top condition. If you want to try something from them I'd highly recommend their Hair Retreat R&R Routine Set and Thickening Hair & Scalp Mask Intense*. Beauty Bay | If you're looking for a one-stop shop then you need to check out the deals on the BB website! They have sales on pretty much every product you can think of including the Anastasia Beverly Hills Modern Renaisannce Palette, Ofra Cosmetics Highlighters and Stila Magnificent Metals Glitter & Glow Liquid Eyeshadow! What are you waiting for? Mio Skincare | Like most people I'm definitely feeling the pressure of Christmas but I've been trying to step up my self-love game and Mio has been such a lifesaver for helping me de-stress. If you're more into bath and body bits then they're the place to go! They currently have 30% off all of their range including the Liquid Yoga Bath Soak which is literally heaven on earth. If you're lucky enough to have a bathtub I'd order a bottle or two! Their Future Proof Active Body Butter* is also in the sale as well as the Liquid Yoga Space Spray* which are two of my current pamper faves! Also if place an order this weekend be sure to use my code - MAIYAFRIDAY for an extra 5% off the whole site! You're welcome! Selfridges | I absolutely love shopping at Selfridges and this year they have 20% off everything when you use the code - SELFCCE at the checkout. It's the perfect place to get all of your presents in one whether you're buying beauty, style or home gifts. My top picks would be the Diptyque Vanille Scented Candle and Bobbi Brown Ready Set Glow Skincare Set. Look Fantastic | This is one of my favourite places to shop online for beauty and I think they're probably the most versatile one out of the bunch! Their discount code BF25 will give you 25% off a wide range of brands including GHD, Clinique, NARS, Illamasqua and many, many more! It would a crime not to indulge! Will you be making the most of the Black Friday sales?